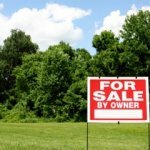 Do You Need To Sell Your Vacant Lot In San Antonio? Have you been thinking about selling your vacant lot in San Antonio recently? We have the solution you have been looking for. You can sell a vacant lot in San Antonio Because We buy vacant lots in San Antonio! When you sell a vacant lot to us, we pay all the closing costs and there are no commissions or fees. We make the process of selling a lot quick and easy. Your lot has been sitting on the market with no action? These are just some of the reasons you may want to sell your vacant lot in San Antonio or the surrounding area. We understand that needing to sell a lot quickly can sometimes be frustrating. Many local realtors are familiar with representing buyers and sellers of houses but not raw land…that can be maddening. What’s worse, once you decide to sell your lot, you want a buyer right then but that doesn’t always happen. We know that feeling…that is why at Capstone Homebuyers, not only do we buy houses, WE BUY VACANT LOTS AS WELL! We are looking to buy vacant lots with any type of zoning you may have, whether you need to sell a vacant lot that is in the middle of an older neighborhood or one that is on the outskirts of town, we buy those vacant lots as well. We have seen instances where people have a lot in a neighborhood where houses are still being built but things have changed. We want to make you a fair, cash offer to buy your lot. 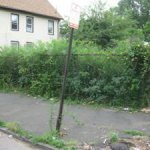 Do you have multi-family zoned vacant lot? We buy multi-family zoned vacant lots in San Antonio. We know the costs can add up when you own a vacant lot in San Antonio. These are the hidden costs of owning a vacant lot in San Antonio. And worst of all…City Liens from vacant lot clean up. These are just some of the ways owning a vacant lot in San Antonio can actually cost you money. Stop worrying about paying these expenses. Let us make you a fair, all cash offer for your vacant land or lot. The best part is, we don’t charge any fees or commissions for our services. We want to build on these lots ourselves so there are no middlemen involved. Don’t pay fees for “services” who “specialize” in selling only lots but want to charge you an arm and a leg in fees. Would you like to know what kind of people you will be doing business if you call us or submit your information below? We encourage you to visit the “Our Company” page by clicking here. We are an accredited BBB business and we know you will be happy you choose to work with us. So…To Sell Your Vacant Lot in San Antonio, please fill out the information below. We will be in touch with you right away.